Commonly regarded as the most instantly recognizable car ever produced by the BMW franchise, the Bmw 2002 turbo became a runaway success helping to secure the BMW franchises reputation as a strong contender for the production of sporting sedans. The Bmw 2002 turbo was originally created as little more than an improved version of the BMW 1500, with the executives of BMW astonished by how quickly the Bmw 2002 turbo managed to overshadow its predecessors. The Bmw 2002 turbo was released in 1973, and already set tongues wagging what with its impressive engine capacity, able to reach 60 mph in the space of 7 seconds, and the people of Europe sat up and realized: here was an affordable and safe turbo-charged car. The fact that the Bmw 2002 turbo could only be equaled by one other car at the time further helped to enhance the BMW 2002 turbo ‘s reputation and profile among consumers. The Bmw 2002 turbo garnered a lot of media attention and sometimes, not always favourably. There was something of a public backlash when the original Bmw 2002 turbo models came out, as the BMW company had the name of the cars printed on conspicuous areas of the car in reverse script. The significance of this seemingly trivial fact? The media claimed that by emblazoning the name of the car with the sole purpose of showing other drivers on the road just exactly what kind of car was on the road was irresponsible, as it would cause young drivers to throw their weight on the road. Whether or not such fears were founded remains uncertain. 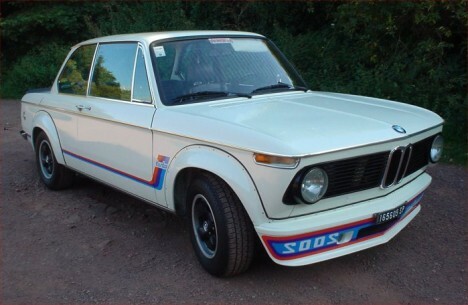 It is important to appreciate the historical context of the time in which the Bmw 2002 turbo was released for sale, the 70’s saw massive reforms across the whole of Europe in a bid to reduce the number of road traffic accidents. Speed limits were cut down drastically, and in addition there was a severe shortage of oil due to tense diplomatic relations with the Middle Eastern oil producers. The preference soon became towards being ecologically and fuel efficient, so gone were the days of boy racers and their growling toys of the road. These factors ended up stifling the development and production of the Bmw 2002 turbo, meaning that a very limited number (1,673 to be exact) were ever produced. As exciting and groundbreaking as the Bmw 2002 turbo was, it was simply a case of bad timing. With production costs spiraling out of control due to the ever increasing draconian legislative measures passed to preserve the oil, the Bmw 2002 turbo soon became regarded as an extravagant, fuel-guzzling monstrosity that was a throwback to an earlier era. Gone was the prestige of the Bmw 2002 turbo and with it the moral indignation and disapproval of the middle classes; the same strata’s of society which would want to buy it.